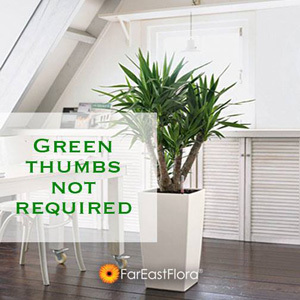 At Far East Flora Pte Ltd, we would like to guarantee the product you purchased from us is to your satisfactory. We hope you never receive a damaged, faulty or incorrect item from us, but if you do, please contact us immediately at (65) 6472 5365 or email at custsvc@fareastfloragarden.com for a no questions asked exchange. We will replace the product with the same or equivalent value as long as the product is returned in its original packaging and re-saleable condition. For perishable products (live plants), please contact us within 24 hours upon receipt of your order. For non-perishable products (garden products), please contact us within 3 days upon receipt of your order. To make an exchange, please send the item back to us at 590 Queensway Singapore 149072 (Online Retail Department) within 7 days on your receipt of purchase. For live plants return, we may ask you to send us a photograph to help establish the cause of the problem. This will remove any doubt about the condition of the plant that you have received from the purchase, as opposed to what it may look like by the time you return it to us. All products returned must be in their original packaging and re-saleable conditions accompanied with receipt of purchase. Our exchange policy is not applicable to cut-to-size items like artificial carpet grass, netting and products not in original packaging. Product can be exchanged for another product of equivalent value or more. If product exchange is of higher value, customer will have to pay for the price difference. If product exchange is of lesser value, the balance amount will not be returned.